The magnitude of John Donne’s words (a seventeenth-century English author) impresses upon me the importance of sharing our knowledge and expertise with others. The truth is we can’t be experts in “everything”; however, we can be assured “someone” has the knowledge about “something” we are seeking to learn. Hoarding information is pointless since it only benefits the person who has the knowledge; while sharing information broadens and deepens others’ understanding about a particular matter. For this reason, I applaud Douglas Nelson, a long-time veteran of the financial service industry. He created a game plan and willingly shares his knowledge with other advisors through his course, Advising Family Businesses. 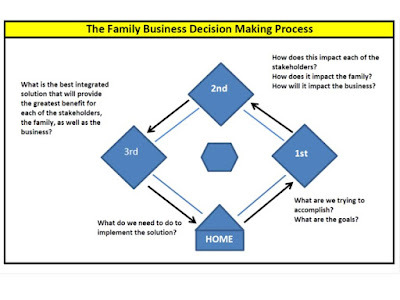 His valuable resources equip an advisor to understand the dynamics of a family business. In turn, this knowledgeable advisor coaches the family business team. Do you see the ripple effect here? Baseball is team sport; you understand the only way a team scores points and ultimately wins is by running the bases in a logical sequence. A baseball diamond illustrates the similarities between playing ball and operating a family business. The strategy for successfully winning a ball game mirrors that used in designing a sound financial plan for the family business. Doug’s approach is a clearly definitive direction to round First, Second, and Third Base successfully. 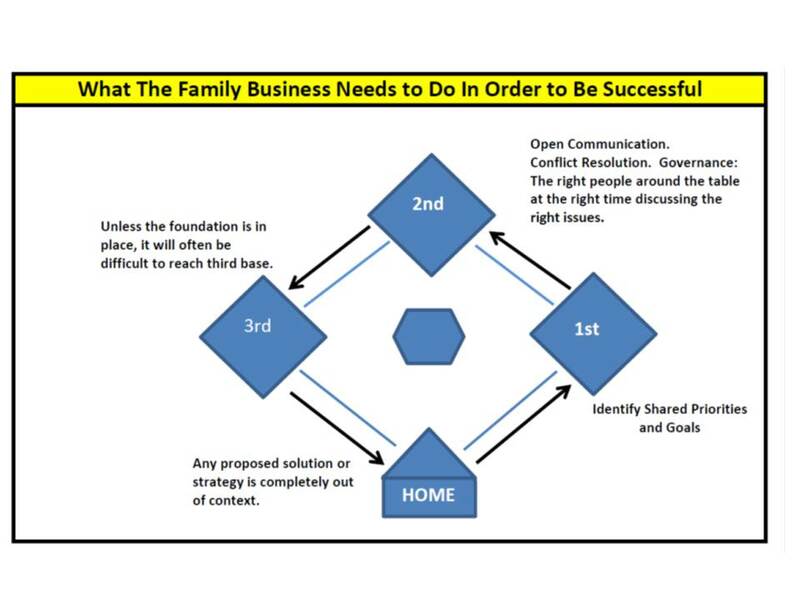 - To make it to First Base, the family business owner must recognize that they need a clearly defined vision of what they are trying to achieve. - To move past Second Base, they must realize they need to navigate their way through the various opinions, beliefs, values, and conflicts that exist between the key family members and the vision at hand. - To move to Third Base, they must now be able to help their advisors craft an integrated financial plan that combines the goals relating to their “softer” issues and the planning strategies that will deal with the “technical issues”. - Finally, to put the overall plan into place, the family business owner will need to find, evaluate, and implement the most appropriate products to put the plan into place (Home Plate). Success is not achieved with a magic formula achieves but rather an easy and practical strategy with logical and clearly defined steps. The winning strategy is doing some soul searching to discover the answers to the tough questions listed in the diagram below. Family businesses are special in many respects. The fulfilment of working side-by-side with your family, striving to achieve financial success, can be rewarding as well as challenging. Your loyalty to each other creates a special bond when you are focused on the same goals. Yet the opposite can be true when challenges erupt. Conflict creates hurt feelings which can last a lifetime. Whether these feelings are verbalized or hidden from sight, turbulences in relationships are bound to exist. Genuine communication – both talking and listening – may be difficult to achieve. However, without it, family businesses and relationships may not survive. In order to be successful, the chart below illustrates specific strategies. Gaining a better understanding of the threats and opportunities prepares you for the work of putting together the ideal plan. If you think you’re all alone, you’re not. If you think you have no place to turn, you do. Advisors were created to help you achieve results you can’t seem to derive on your own. Advisors are part of your winning team as much as strategies are part of the overall plan. So here’s food for thought from Doug’s nuggets of wisdom. 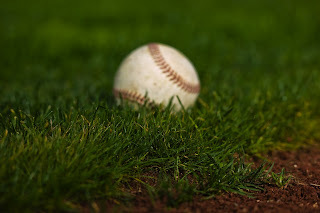 The notion of being successful at reaching home plate means running the appropriate course. There are no shortcuts; you cannot cheat because you will not achieve the desired results. Success comes from understanding the rules of the game and playing by the rules. This is as true in running a family business as it is in playing baseball. When you play ball, you need to know how to cross the bases effectively. For advisors, who are interested in learning more about the course, Advising Family Businesses, click here. Profound statements, like the one above from Lao Tzu, are intriguing. They motivate us to think ourselves into action. 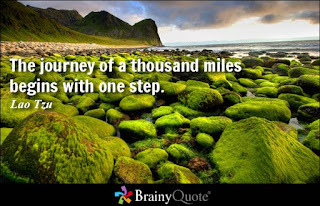 That’s great advice when you know what the first step is but when you’re unsure, you’re left floundering. Every January we make New Year’s resolutions. We want to start but we struggle with the steps. As a result our attempts to build a solid action plan fail because of the uncertainty of “how to start”. I was privileged to be interviewed about this topic by the Financial Planning Standards Council. 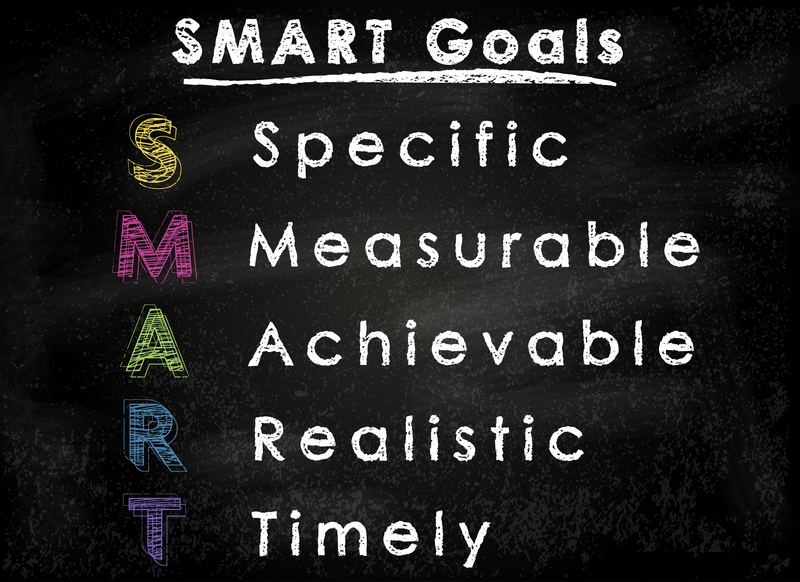 I compiled a list of five steps to help take action to fulfill your dreams. 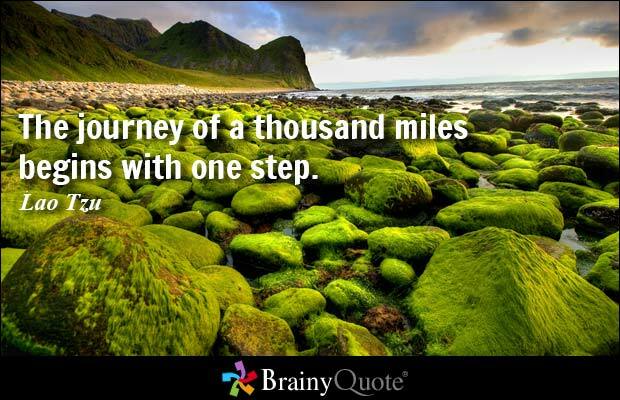 If you’re someone who struggles with building an action plan, take that first step. Get clear about your dreams, the rest will follow. The interview below is found at the Financial Planning for Canadians website, where you will find many great articles. There are likely dozens of items on your lifelong wish list. However, while you might be able to have anything your heart desires, you can’t have everything. And no matter what you’re yearning for, chances are there’s a financial component to achieving your dream. 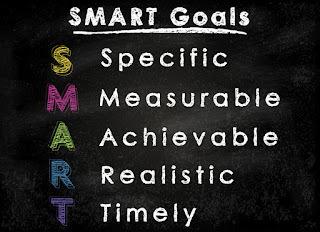 Financial goal setting will help hone in on those things that are most important to you; planning will establish the road map to get you there. 1. Put pen to paper: Research has shown that the simple act of committing your goals to paper makes them tangible and increases your likelihood of achieving them. 2. Share your inspiration: Who will you fulfill your dreams with? Perhaps they have a different vision than yours. Be sure to share with others who may be impacted by your decisions so you’re on the same page. 3. Guard your peripheral vision: Be mindful of outside influences steering you off course. Family asking to borrow money, marketers trying to sell you a now-or-never trip, or friends suggesting a new home or car can make you lose sight of your real goals.